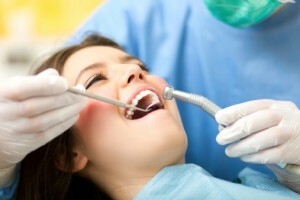 Most people know that gum disease can lead to problems like bleeding gums, bad breath, and even tooth loss. Did you know that there are even more serious health complications linked to untreated periodontal disease? At the Dallas, TX dental practice of Dr. Drew Vanderbrook and Dr. Joanne G. Hoppe, we offer an extensive array of general and preventive dentistry solutions, including periodontal therapy. Fortunately, a diagnosis of gum disease does not necessarily mean that you will affected by any of these conditions in the future. Early and consistent treatment with periodontal disease therapy can drastically reduce the likelihood that the infection will spread to other areas of the body. Our doctors possess the experience, skill, and knowledge necessary to provide our patients with comprehensive treatments that fight and treat gum disease. Periodontal disease is most successfully treated when detected in its early stages. Because not everyone experiences obvious symptoms of gum issues early on, routine visits to our office (approximately twice per year) are vital to continued oral health. Contact our office today to schedule your visit with Dr. Vanderbrook and Dr. Hoppe. We look forward to serving you and your family! Our practice serves patients from communities throughout the DFW area, including Richardson, Garland, Mesquite, University Park, Lake Highlands, North Dallas, and more.